Splish, splash! Your shower is full of rubber ducks. 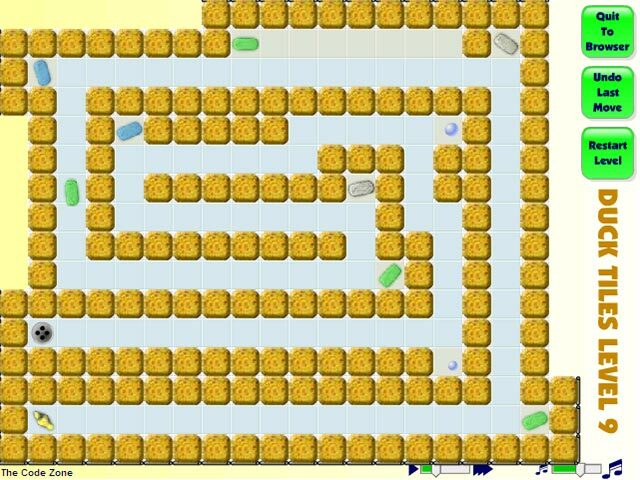 Get your ducks all in a row in this slippery online maze game.Get all your ducks in line.Get all your ducks in a row! 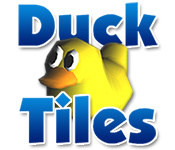 Use your puzzling smarts to slide the rubber duckies into the proper position in Duck Tiles, a slippery online puzzle game. Watch out, ducks travel a long way when they are sliding across wet shower tiles. 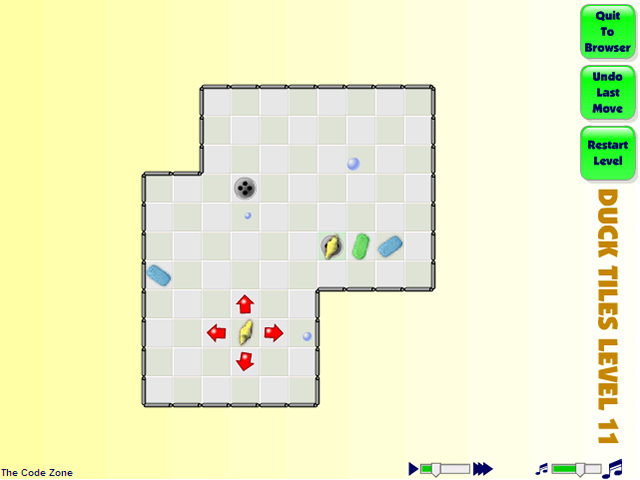 Use obstacles such as sponges and soaps to direct them. 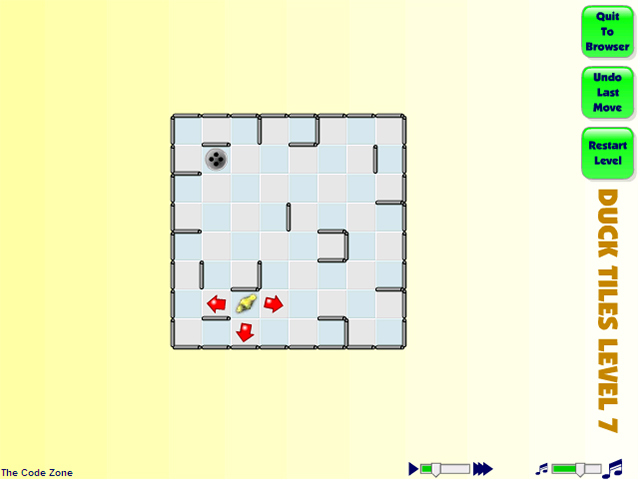 With 77 levels to master, Duck Tiles is a tricky maze game that may quack you up.